Goodbye, pastels. Hello bold and daring! When it comes to wedding flowers, bright and vibrant colors are making their way back to the palette. Are you decorating a chapel and reception hall? 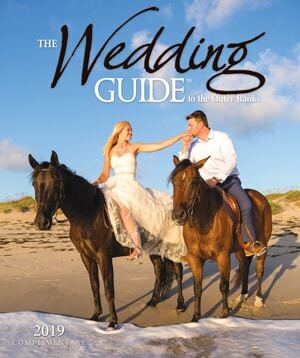 Is your ceremony going to be on the beach, on uneven sand and dune lines? Will there be a chuppah, arbor, or canopy that needs to be constructed as well as decorated? Picture yourself walking through a glorious garden with every flower at its peak. Which flowers would you choose for your wedding? 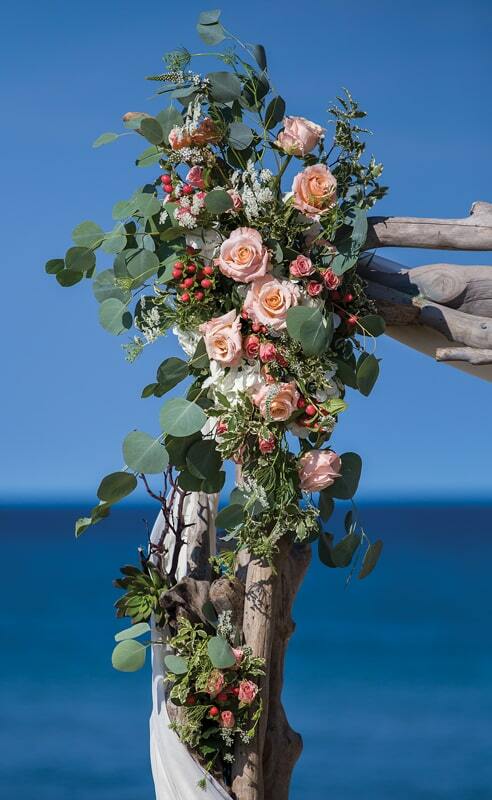 Beach brides continue to embrace their love of the great outdoors and its calming beauty through flowers that are both stylish and ecofriendly. 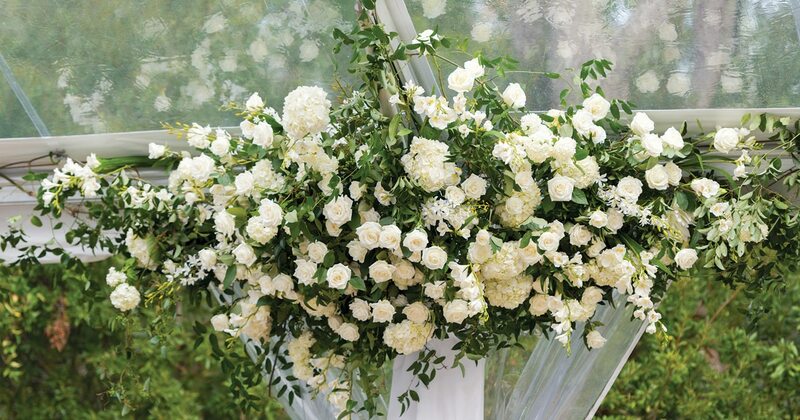 Flowy, cascading bouquets are ever popular, as are garlands for arbors, canopies or other structures. The vintage country look remains a popular trend, with nature taking front and center stage. Arrangements with texture, alongside mix and matched palettes, are the big thing looking forward. Colors are brighter and bolder, with oranges, reds and jewel tones setting new trends. Incorporating green foliage and plants is a great way to add texture to your flower arrangements, and also good for adding fullness to any flower centerpiece. Beautiful colors, interesting textures and unique shapes – greenery, alone or accented with a few blooms – can create exquisite arrangements with major impact. Accenting soft pinks and cream tones with rich, deep hues to add warmth and depth will create a breathtaking display. Think of deep tones like maroon, peony, hunter green, and coral (Pantone’s 2019 Color of the Year), pacific blue, and deep violet. A bouquet might incorporate subdued shades that are infused with bolder colors to create a dreamy, romantic arrangement. While thumbing through bridal magazines, remember this: flower colors are rarely exact and often look different in person than they did in a magazine. Therefore, don’t be tempted to make selections solely based on how flowers look on the page. Let a professional florist help you understand the undertones of different varieties; for example, red ranunculus has orange undertones that stand out when paired with cool colors. Your florist will guide your selections so that the flowers you choose will be in season when the big day rolls around. He or she will be more than happy to work with you to convert your vision into a stunning and affordable reality. But be open-minded. Let’s say you have your heart set on white tulips for a July wedding or lily of the valley in August – be flexible when your florist tells you that the flowers you love simply are not in season then. There are many flowers available year-round, like roses, hydrangeas, carnations, callas, and orchids, just to name a few. 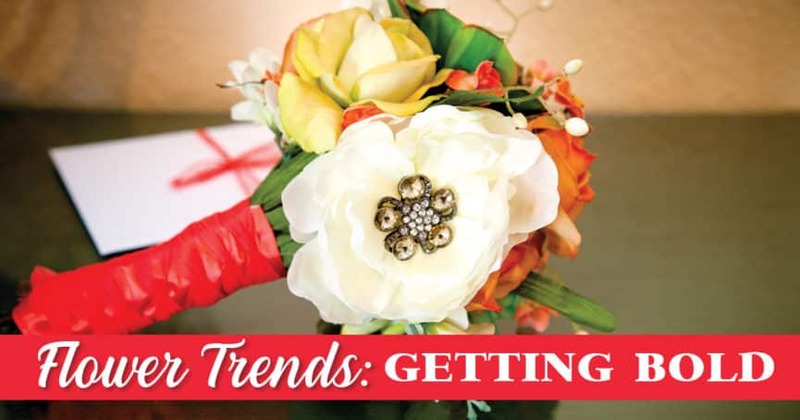 Whether you are following new trends or staying true to tradition, use the months ahead to attend wedding shows, do some online research and interview florists. 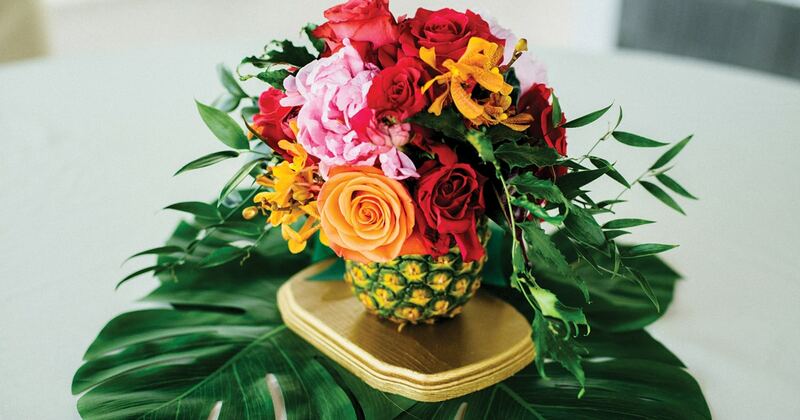 Have fun planning the flowers that will set the tone for your personal, special day. You want your wedding flowers to be beautiful – and so will your florist. Here are a few tips for making that happen. The very first thing to discuss with your florist is going to be the budget. A good florist won’t try to upsell beyond what you can afford – they truly want to work with you to create your vision within the limits of your pocketbook. If you are on a tight budget, focus on your bouquet and make your attendants’ arrangements smaller and simpler – and therefore less expensive. 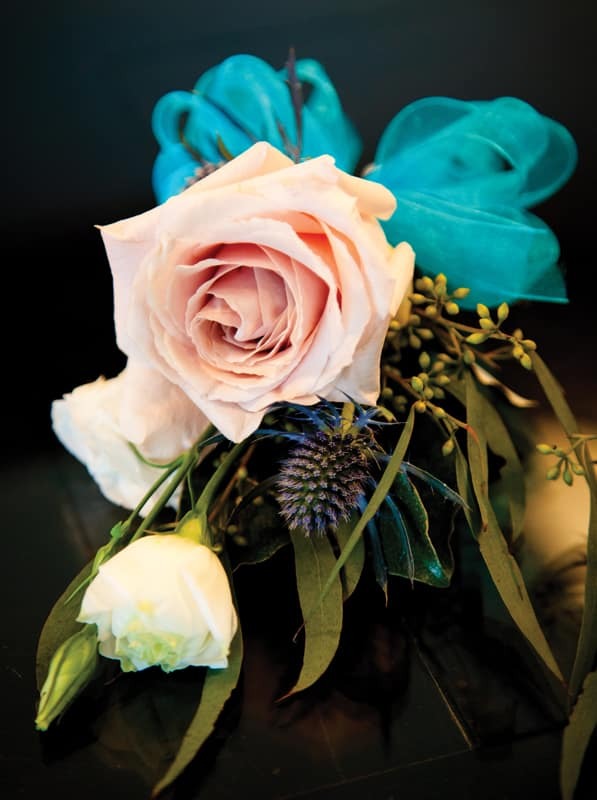 Mismatched bridesmaid bouquets are an emerging trend, allowing for a little individuality with their bouquets. 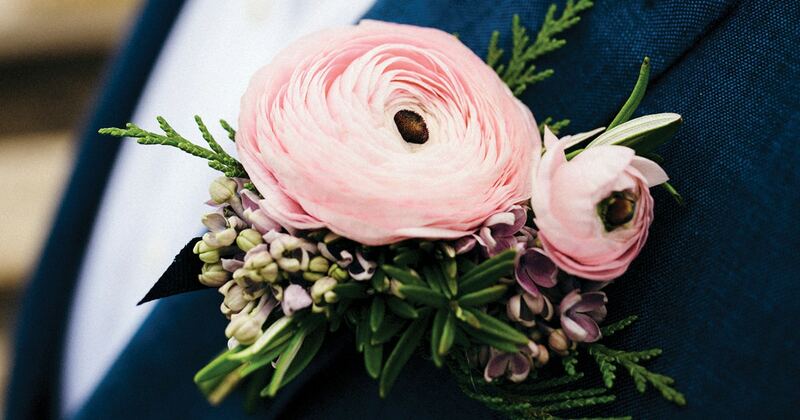 A fun idea is to have each bridesmaid carry a single flower that represents what is in the larger bridal bouquet. Pick one thing you love – a certain color, a special photo, a swatch of antique lace, or a cherished brooch that belonged to your great-grandmother – to give you and your florist a starting point. Top feature image Outer Banks Productions.